High school students Joshua, Aaron and Ariana say memories of Parkland are constantly on their mind. While the shooting didn’t happen at their school, the tragedy hit very close to home, both emotionally and physically. Parkland is roughly 90 minutes from Immokalee. “People didn’t come to school. A lot of my friends didn’t come back till a week later, three days later you know,” said Ariana Gallegos, a sophomore at Immokalee High. “Like, how could someone do something like that?” said Immokalee senior Joshua Joseph, recalling that day. Torres said he can’t imagine the pain of the students and teachers at Marjory Stoneman Douglas. “The pain will never be gone, those kids will never hear a fire alarm the same way, they are traumatized,” Torres said. They now see the world, and their classmates, through a different lens. 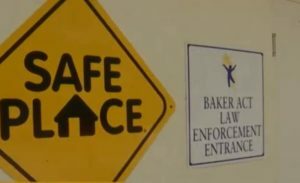 “I think that kind of just opened our eyes to that we can’t be afraid anymore because we have to be prepared,” Gallegos said. Prepared, she meant, for the next school shooting. “I feel, in earlier years, mental illness or social wellness, it wasn’t a big topic,” Torres said. 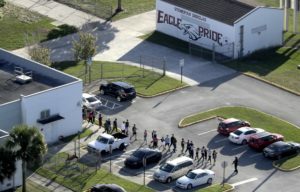 That changed after Parkland, and the Marjory Stoneman Douglas High School Public Safety Act , where Collier County Schools and every Florida district got a cut of nearly $70 million for mental health initiatives. 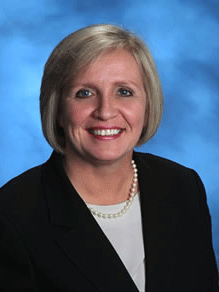 Collier County School superintendent Dr. Kamela Patton. Patton said Collier schools aren’t new to mental health care. They have used Social Emotional Learning (SEL) tactics for years, helping kids work on relationship building and coping skills. But Immokalee students said the initiatives created this school year have been the most significant. Superintendent Patton said these programs have made a big difference, particularly in reference to the Buddy Bench and We Dine Together programs, where students are designated as ambassadors to talk to and sit with students at recess and lunch. The “Buddy Bench” program in Collier County is designed specifically for elementary schools, encouraging kids to interact with others who seem lonely, distressed or just need a playmate at recess. After the introduction of S.B. 7026 in March of last year, every school district had to create a mental health plan for the 2018-2019 school year. As a result, all Southwest Florida districts have begun Mental Health First Aid Training for school personnel, improved their partnerships with local mental health facilities, and created or expanded their mental health and threat assessment teams. In fall 2018, the Lee County School District partnered with SalusCare, the largest mental health agency in the county, for counseling and substance abuse services. The district also allocated for a full-time mental health counselor at the Success Academy. The Charlotte County School District expanded its 24-year partnership with Charlotte Behavioral Health Services, increasing psychiatric consultations and allowing for a therapist to serve all students in Alternative Programs and ESE Center School. In addition to the new district-wide SEL programs, Collier County schools are continuing their collaboration with the National Alliance on Mental Illness (NAMI) of Collier County and David Lawrence Mental Health Center, among others. This school year, Lee and Charlotte school districts were able to assign each of their high schools a full-time social worker. Collier was able to assign a full-time psychologist to each high school and select middle schools. Districts agree, the biggest help to improving mental health in schools has been adding more mental health professionals. Collier allocated funds to hire 7 school psychologists and 8 social workers. Lee allocated funds to hire 4 school psychologists and 10 social workers. Charlotte allocated funds to hire 1 school psychologists and 4 social workers. Joseph, Gallegos and Torres explained what’s helped them the most has simply been the access to adults. They say they appreciate having more adults around who will reach out when they see a change in behavior. School psychologists Rebecca Marazon and Natasha Gorman say they hope to build on the momentum, but admit they need more help. Gorman said there is a nationwide shortage of school psychologists, making it hard to find and hire the right people. “There’s just so much need, but there’s just not enough time in the day to help all these kids,” said Gorman, psychologist for Lee County schools. In the meantime, Collier County K-8 Counselor Coordinator Steve McFadden said students are taking on a role all their own. Below are recommendations from national organizations for the optimal amount of school personnel to student ratios. National Association of Social Workers (NASW) recommends 1 social worker to every 250-400 students. American School Counselor Association (ASCA) recommends 1 school counselor to every 250 students. National Association of School Psychologists (NASP) recommends 1 school psychologist to every 500-700 students. WINK News calculated what the ratios are in Southwest Florida school districts. Next articleDo undeveloped brains have anything to do with threats?